This super cute and bright 4 bedroom, 2 bathroom pool home is waiting for you! This home features a great, 2 way split floor plan, formal living and dining rooms and a kitchen with a nook and open to the family room, which overlooks the beautiful lanai and pool which backs up to conservation. Saltillo Tile throughout, 2012 roof, 2016 HVAC, 2017 hot water heater & 2016 fence, the pool was resurfaced in 2015 and this home also features whole home hurricane shutters and California Closests! The open kitchen features tile counter tops, stainless steel appliances, plenty of cabinet and counter space, a closet pantry, breakfast bar and breakfast nook. The huge Master Suite features double closets, sliding glass doors leading to the lanai, en-suite bath with tiled shower, separate garden tub and dual vanity. The 3 additional bedrooms on the 2nd split of this home are a great size, the 2nd full bath features a dual vanity, tiled shower/tub, the tile goes to the ceiling, plantation shutters and there is a door leading to the lanai, making it a great guest bath and pool bath! The beautiful brick paver lanai is spacious, the pool & spa are welcoming & the yard is fully fenced in. This is the perfect space for summer parties or a relaxing evening! 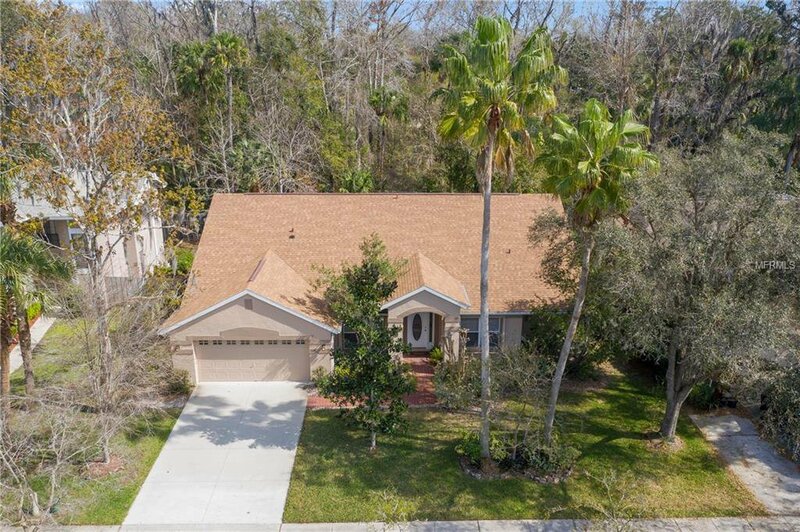 This home is located in a wonderful community, close to Trotwood Park, the Cross Seminole Trail, Top Rated Seminole County schools, 434, 417, shops, dining & more! Don't miss out on this great home! Listing courtesy of RE/MAX TOWN & COUNTRY REALTY. Selling Office: RE/MAX SELECT.